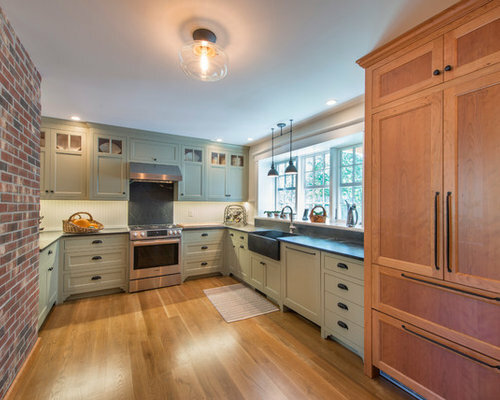 This 1800's era farmhouse was badly in need of a kitchen update. 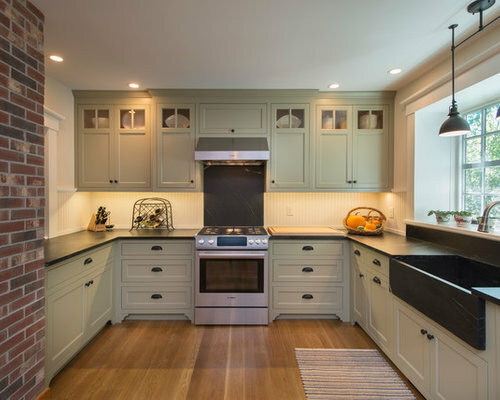 Dark blue rubber flooring sucked all the light from the room so a medium tone character oak floor was installed. 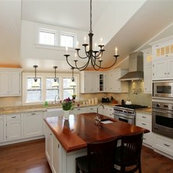 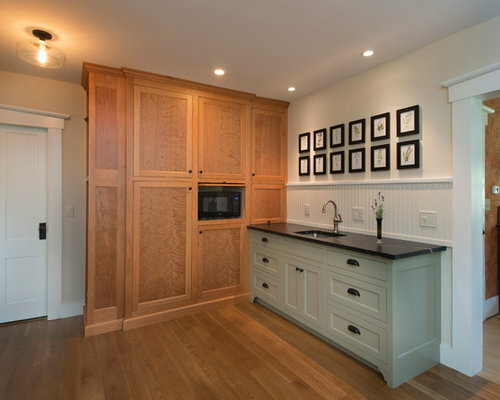 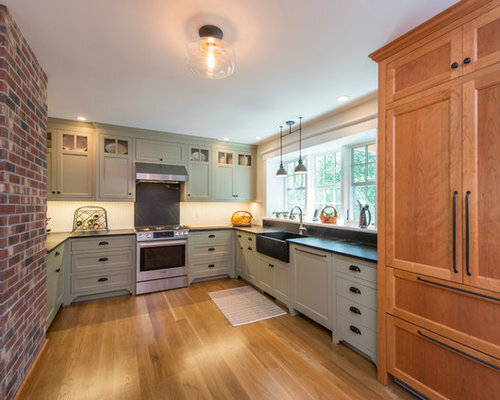 Beautiful custom cherry and painted cabinetry break up the large space. 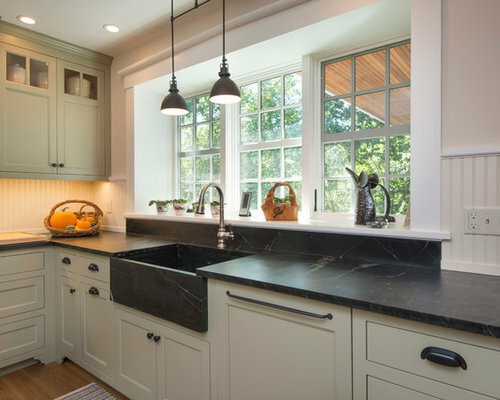 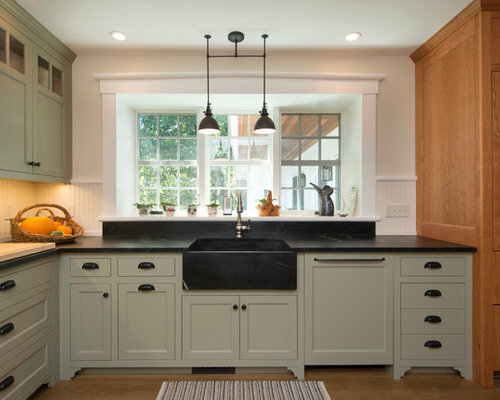 A soapstone apron sink and countertops provide warmth and functionality.